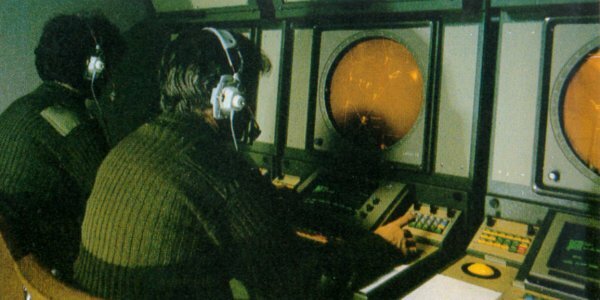 The PPI-scope shown in this figure, is by far the most used radar display. 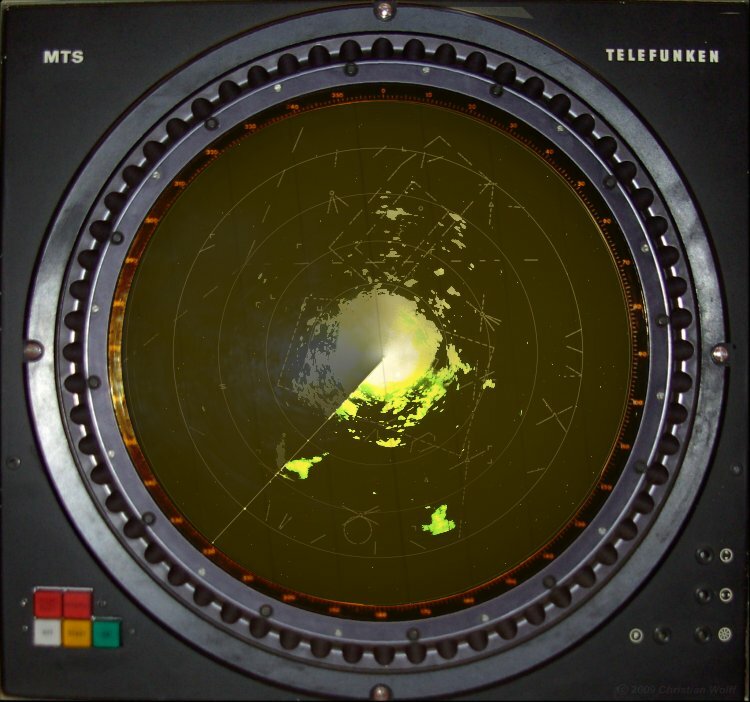 It is a polar coordinate display of the area surrounding the radar platform. Own position is represented as the origin of the sweep, which is normally located in the center of the scope, but may be offset from the center on some sets. 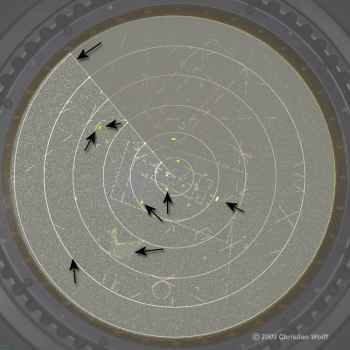 The ppi uses a radial sweep pivoting about the center of the presentation. The sweep rotates on the display just as fast as the radar antenna. 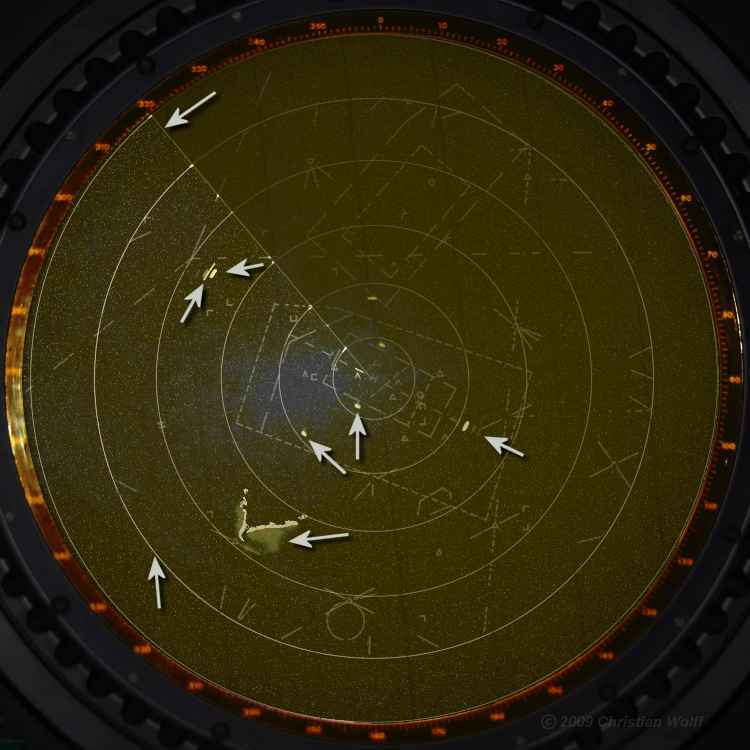 This results in a map-like picture of the area covered by the radar beam. A long-persistence screen is used so that the targets remain visible until the sweep passes again.